Diy conservatory quote deliver to Scotland for free. When you go on the Internet and get your price you can be rest assured that your delivery is included. 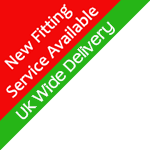 As well as making sure that you take advantage of our free delivery our trained staff will also make sure that your conservatory is up to the Scottish building regulations. As you may be aware the Scottish building regulations are slightly higher than the UK’s but by the addition of K glass our frames easily pass the lower U values required.